Rare Osborne Village 2-1/2 story character home awaits you. Come see this beauty with all it charm and grace. Beautiful front entrance with original 100 year old front door, wide plank maple hardwoods, untouched and original stained oak trim and banister. Formal dining room with solid oak pocket doors, new gas fireplace insert 2007. Kitchen has been updated with ample maple cabinets, counter space and a full pantry. Three total bathrooms (one on each floor), with a total of five bedrooms plus den. Second floor has four bedrooms, updated main bathroom including second floor laundry. The third floor loft is so cool with it’s cabin like feel, soring 16 foot ceilings and great birds eye views. Let’s not forget the cute front porch made for lazy summer days. 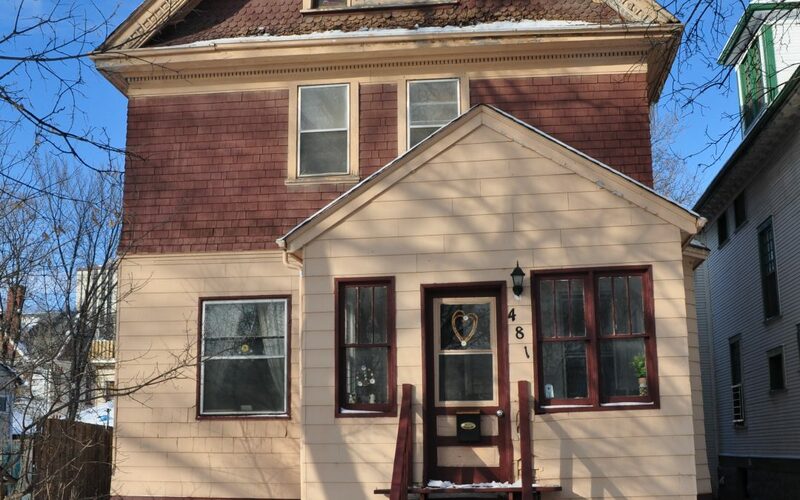 This house is located nice and central in the Village mid block and close to the new rapid transit, Gladstone K-6 and many of Winnipeg’s finest shops and restaurants.